Have you ever found yourself as the designated driver for your friends wedding, having to consume orange juice after orange juice whilst longingly gazing at your other halves delicious ice-cold G&T? YES, well so have we. Or perhaps just by choice you opt for a non-alcoholic drink and would much rather stay sober? 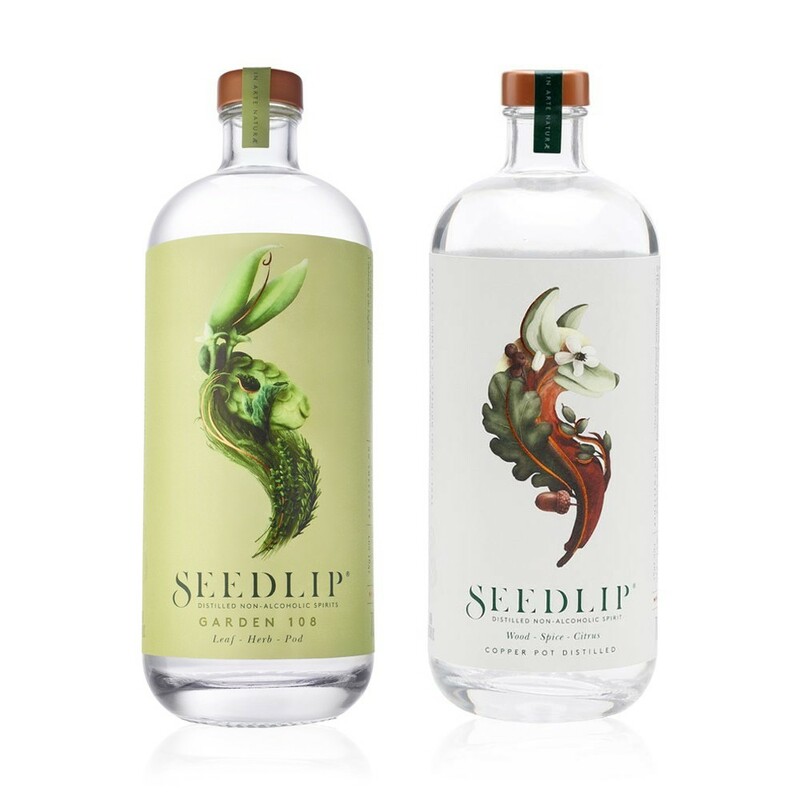 Well, we have found something incredibly scrumptious that may be just up your street; SEEDLIP "Solving the dilemma of 'what to drink when you're not drinking' ". This beautifully designed brand has launched a duo of non-alcoholic spirits (the world's first of their kind); Garden 108 and Spice 94. To continue his family's 300 year farming ancestry, Ben founded Seedlip in his kitchen in the woods, with a copper still & copy of The Art of Distillation with a mission to change the way the world drinks. As well as looking elegantly stylish, both products taste truly delicious and make a perfect alternative to alcoholic gins and vodkas. Garden 108 has herbal hits with spearmint, rosemary, thyme and peas, whilst Spice 94 has a more spicy aromatic taste with cardamom, oak, all-spice, and grapefruit botanicals. Pair either with plenty of ice and Indian tonic water for the ultimate soft drink with sass or alternatively, head to their website for their very own recommended inventive alcohol-free cocktails.